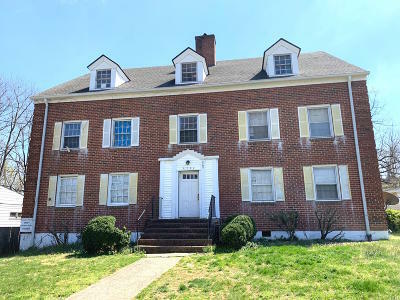 Stately 6 unit brick apartment building nestled in Roanoke's Round Hill neighborhood. All 2 BR units. 100% occupied. Newer roof, hardwood floors throughout with off street parking. Coin operated laundry for additional income. May be purchased as a portfolio with 716 Dale Ave in Vinton (11 Units MLS # 858035) and 4306 Williamson Rd. (8 Units MLS #858004) for $1,375,000.